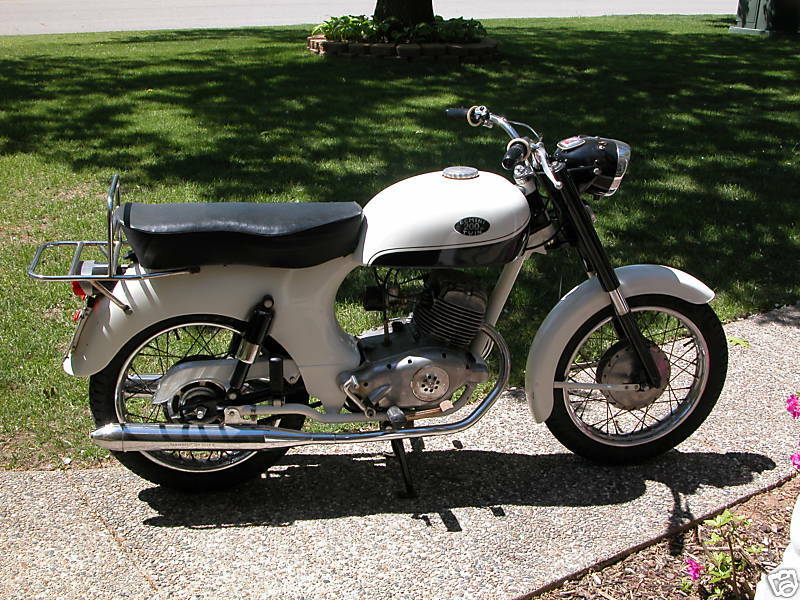 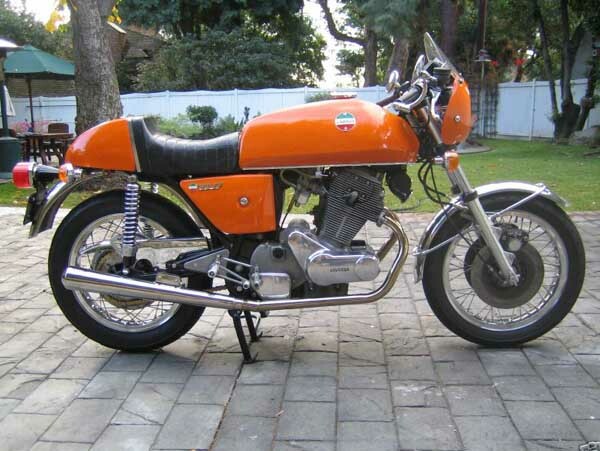 1968 Laverda Gemini 200cc twin. 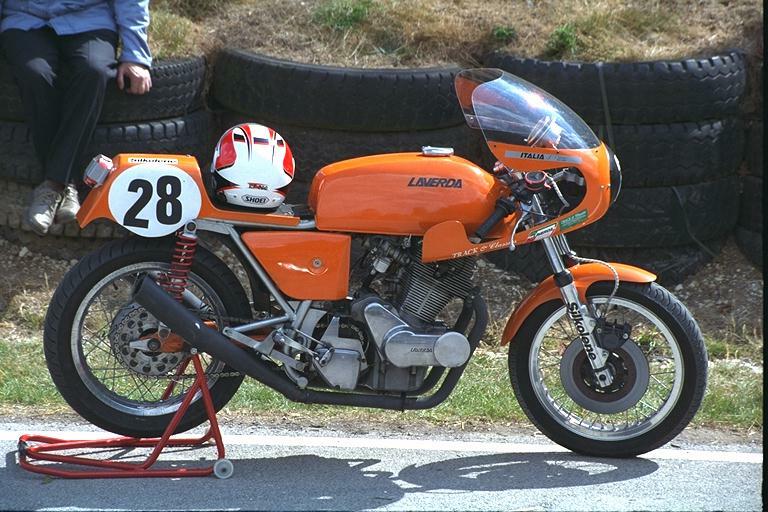 1973 Laverda 3C This is a rare pre oil-cooler model - in fact the 337th production Laverda triple. 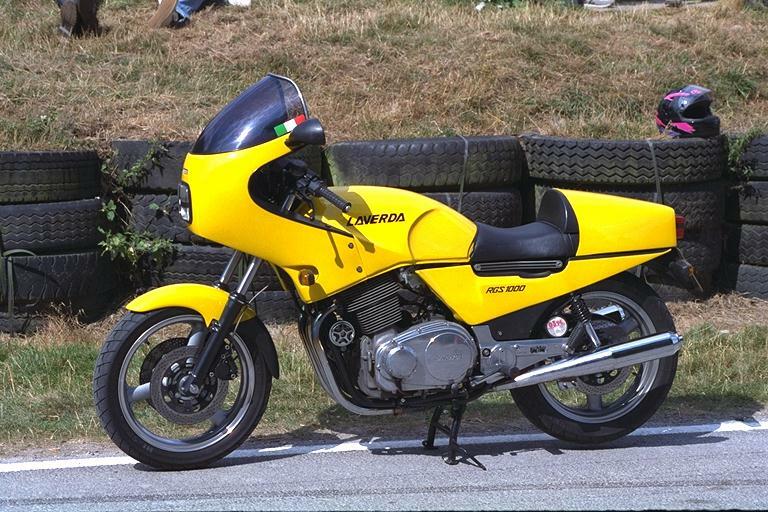 998cc, 90bhp. 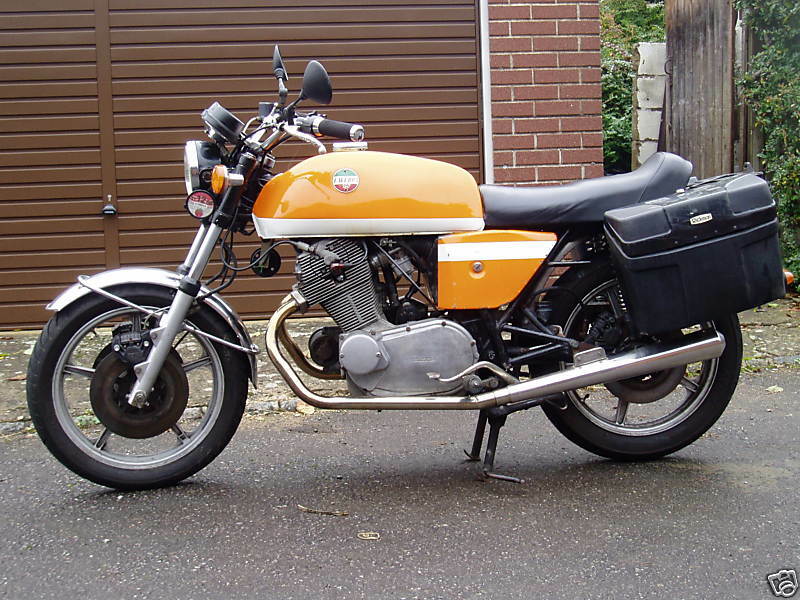 1973 Laverda 750 SF1 For 1973 Laverda's 750 twin got the boost it needed, in the shape of the SF1. 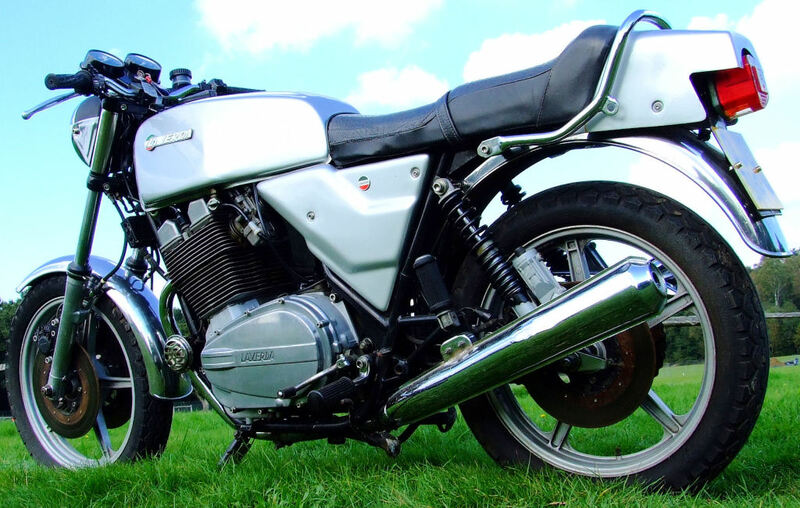 By this time sound level regulations were intruding so Laverda was faced with the conflicting difficulties of increasing gas flow and decreasing exhaust noise. 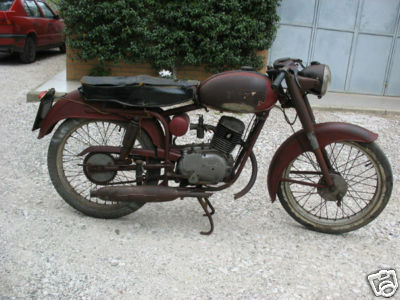 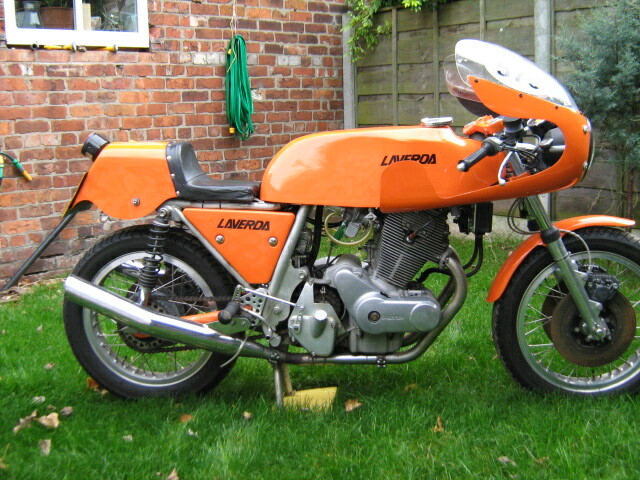 Laverda achieved both ends with large diameter exhaust pipes (1.6-inch) interconnected by a transverse collector box, new style Dell Orto 36mm pumper carbs and a matching new camshaft. 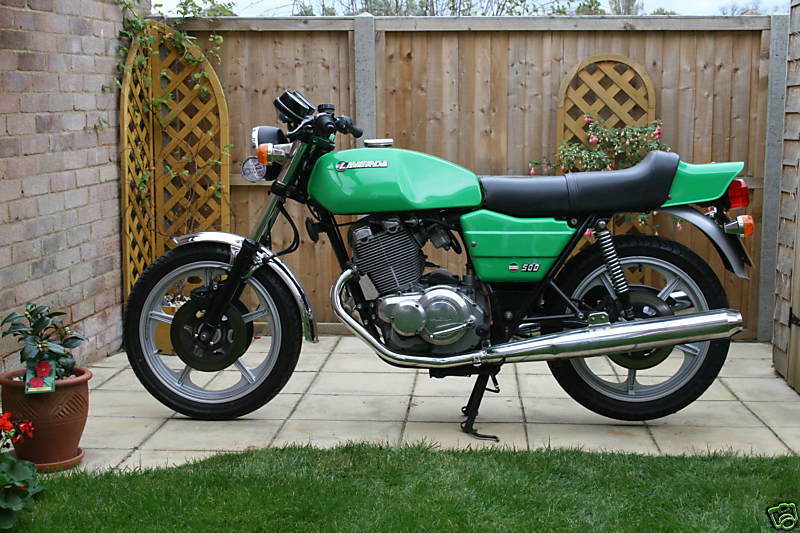 These mods lifted power to a claimed 66bhp at 7300rpm, and top speed rose accordingly to around 117mph. 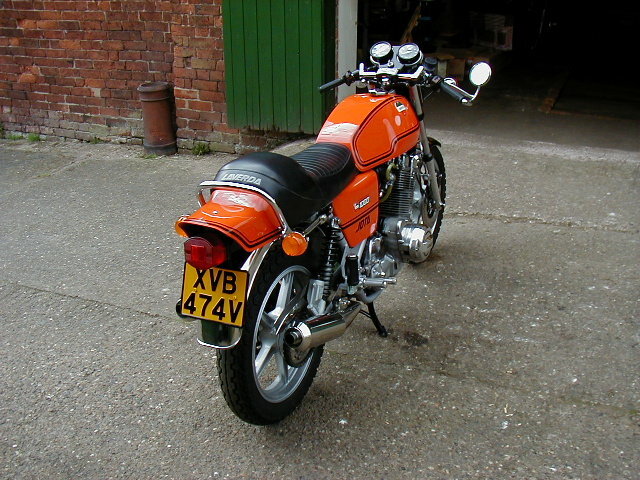 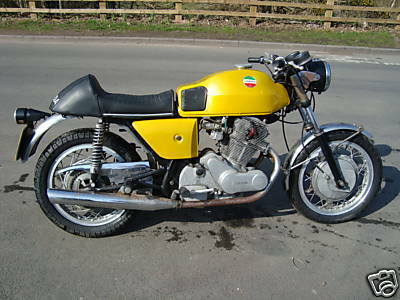 1974 Laverda 180 Jota 980cc, 90 Bhp. 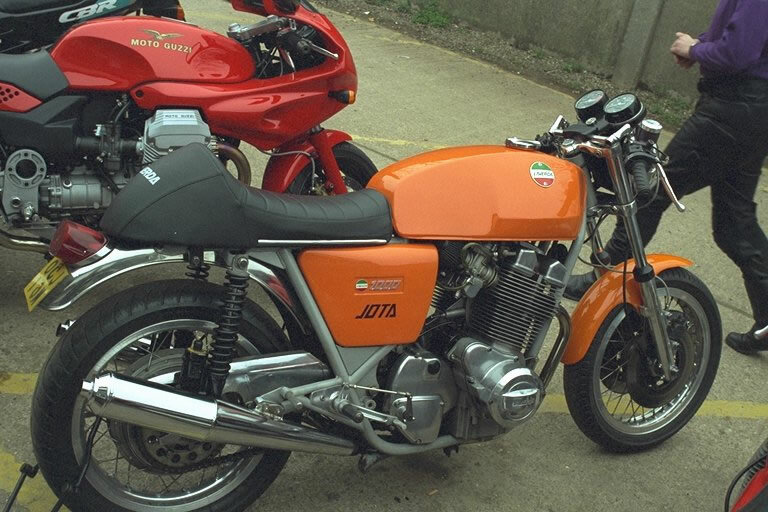 Laverda 180 3c Jota 90 Bhp, 981cc. 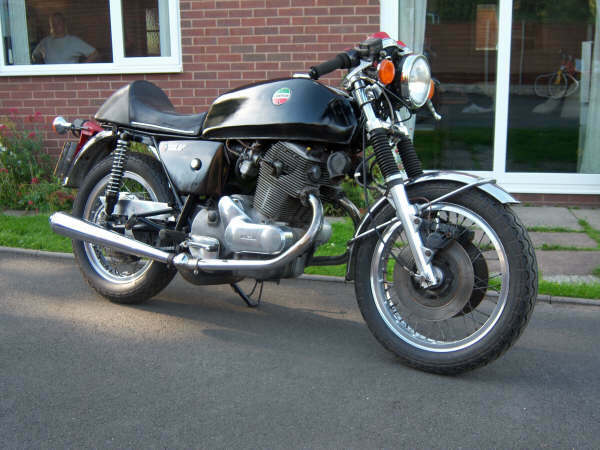 Todd Electronic Ignition , Gas Flowed head, High lift cams, 34 mm Carbs, unmarked Stainless Exhausts from Slater. 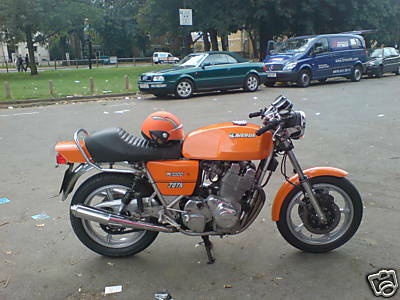 1976 Laverda CL1000 from the factory in Breganze.The unique underseat tank design secured perfect handling and look how close yamahas deltabox design is which came a few years later. 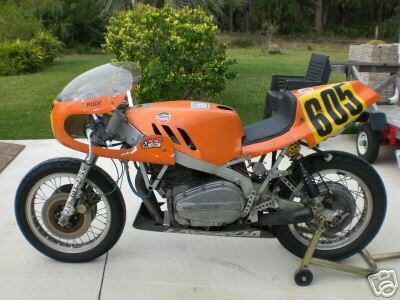 The target was a competitive racebike for the BEARS class. 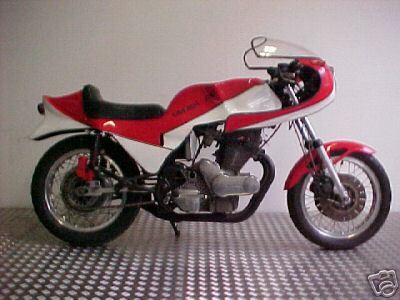 This is the prototype. 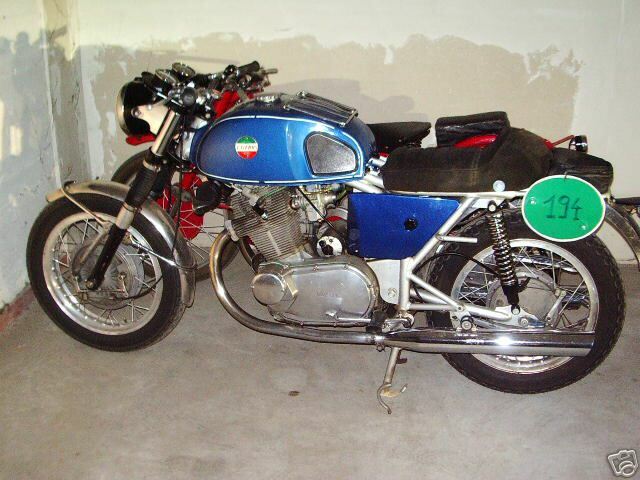 4 racebikes followed.Raced by J.Haider and W.Pruenner. 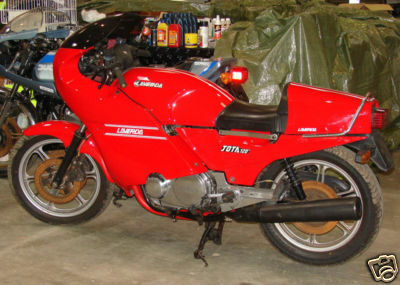 Haider died in 1993 with blood cancer. 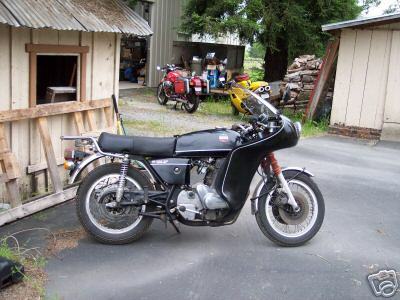 The engine is a modified 1973 CL motor with a 180 deg crank. 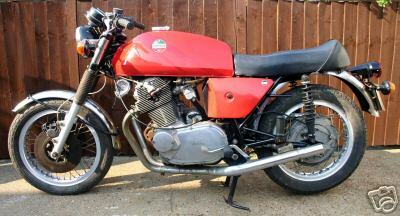 It uses original Laverda HKZ ignition. 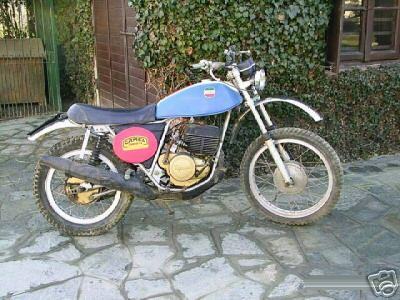 This bike comes with 2 sets of caburators: 40mm Dellortos and 40mm Mikuni The original 2.15x18 high shoulder Borani rims are used front and rear. 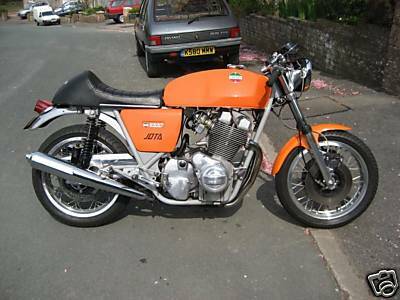 Brakes are double castiron-discs with goldbrembo front, Laverda-drumbrake rear.Frontfork is a modified 36mm Mazzocci, rear are double shock bitubo`s. 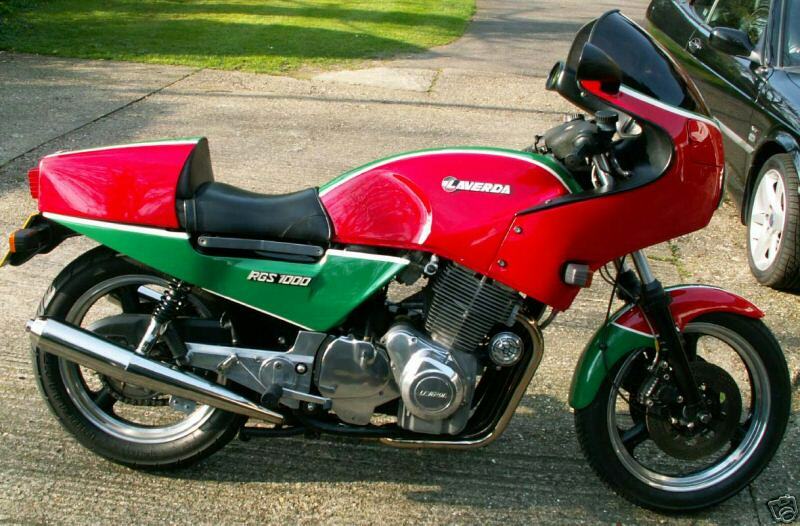 1976 Laverda SF3 750 Spanish import. 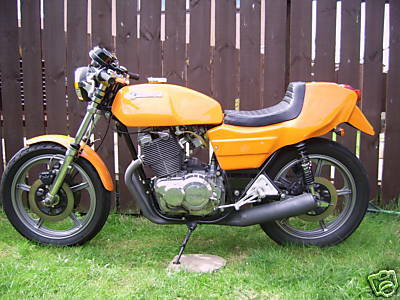 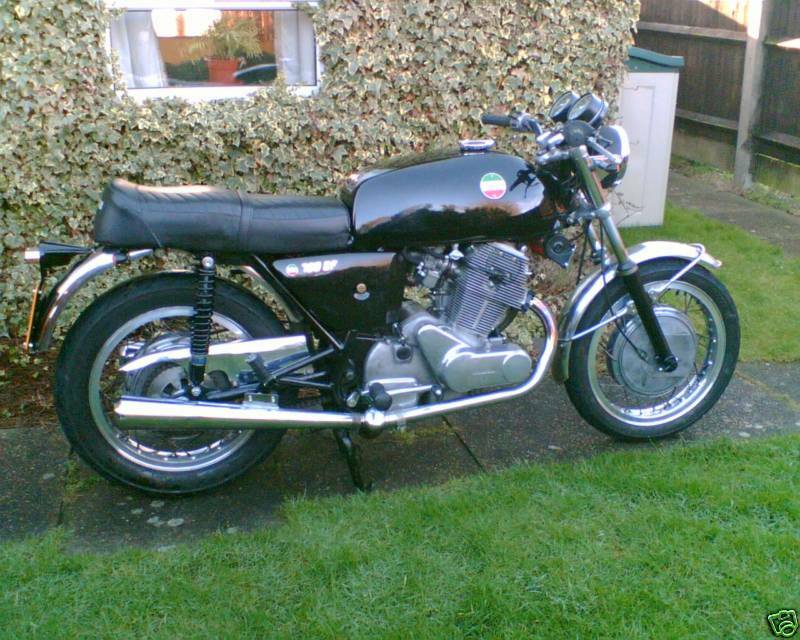 1979 Laverda Montjuic Mk1 With Mk2 seat fitted. 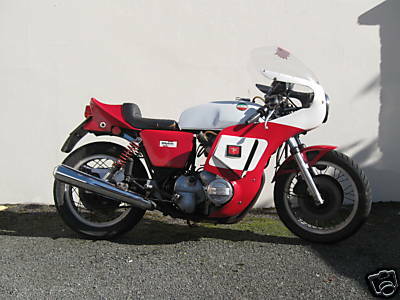 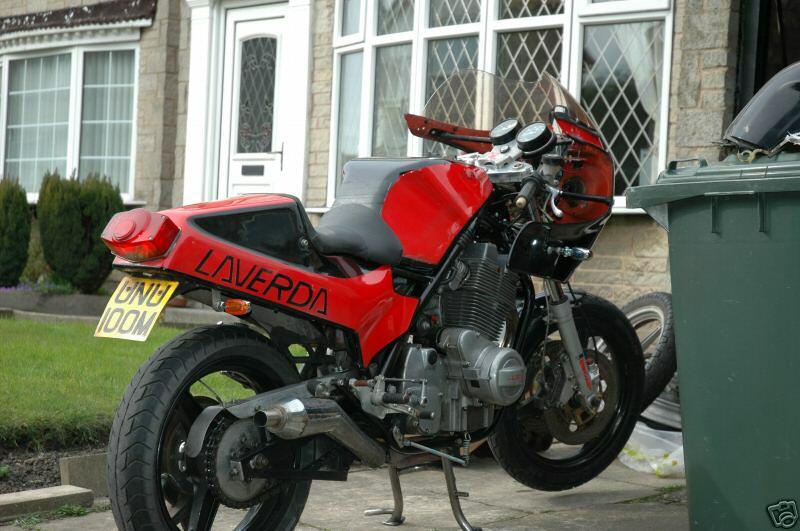 1982 Laverda RGS1000 981cc, 84 Bhp. 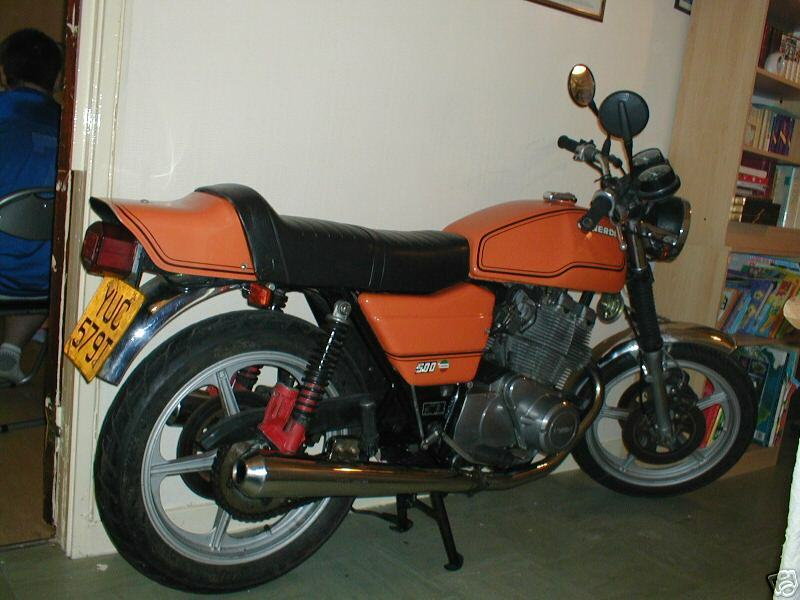 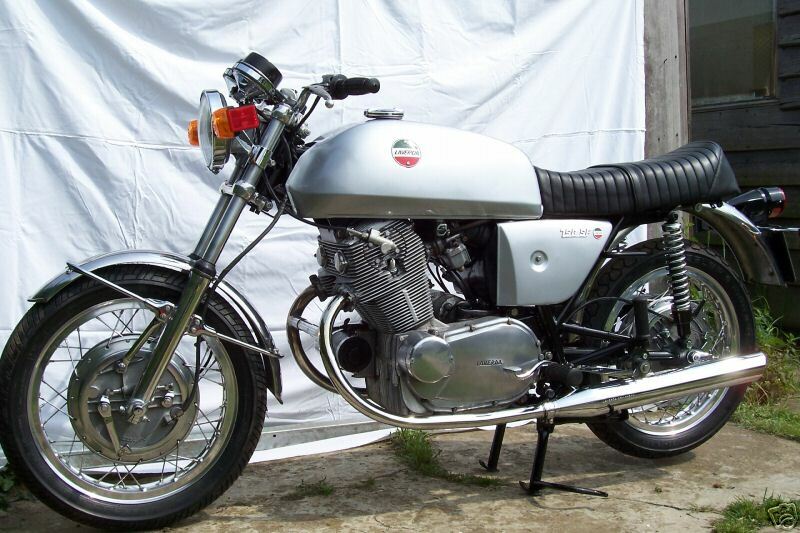 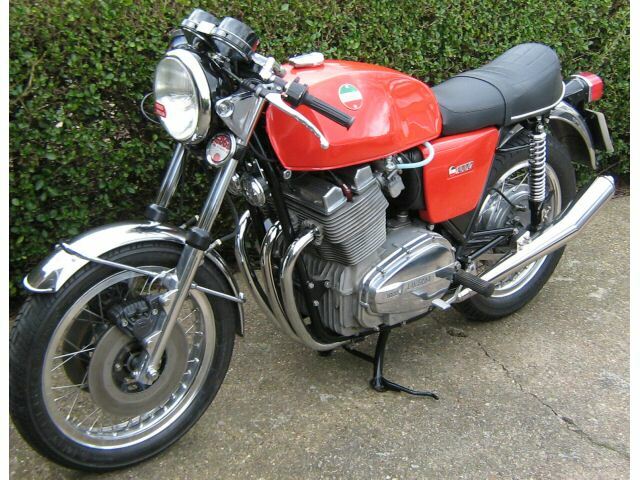 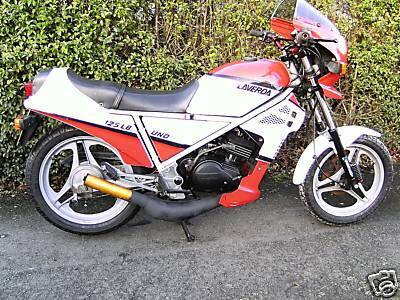 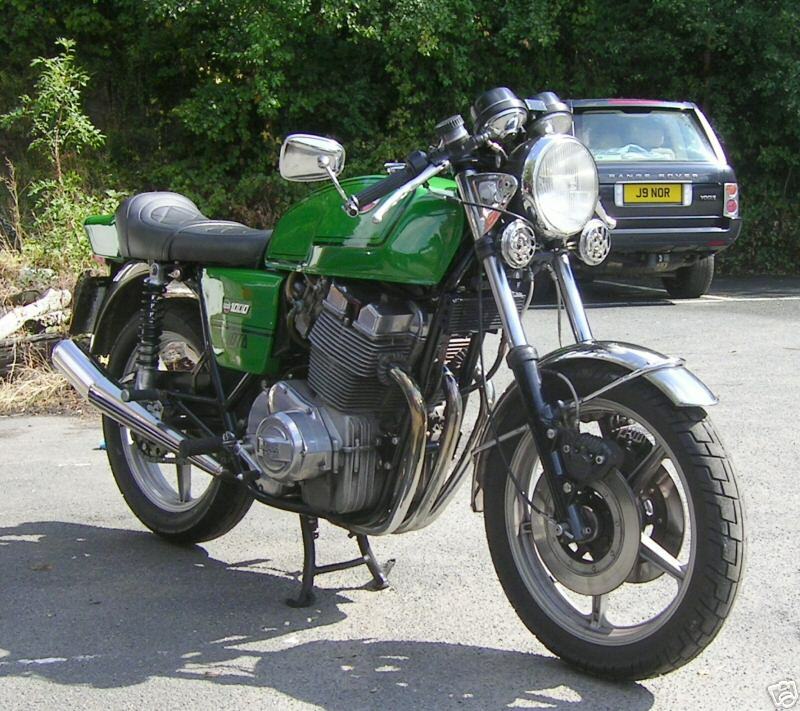 More Laverda RGS info..
1985 Laverda LB125 UNO 2003 import, 23bhp.